Cathedral was formed in the early 1975 in Islip Terrace, NY, United States. You were one of the few bands that played progressive rock in the States. I met a bassist named Ed Gagliardi in a record store- we were both looking at Genesis albums and when he heard I played keys he offered to set up a meeting with guitarist Rudy Perrone. 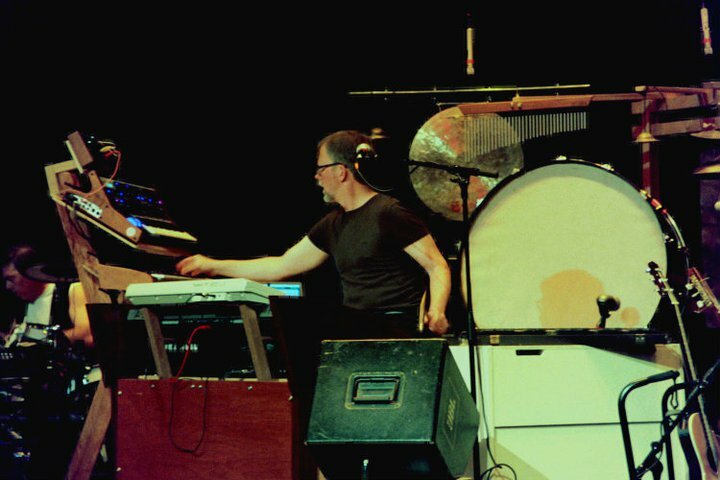 The band I had been playing mellotron for was winding down so the timing was good. Ed, Rudy and I started a group. In a short time Rudy and I started forming a chemistry that was much more progressive than the direction Ed was looking for. Were you or other members of Cathedral in any other bands? Odyssey was the group that Fred and I played in before Cathedral. I met the band when I was 15 and learned keyboards from watching them. They were very unique. There are a couple of releases out there but neither do them justice. 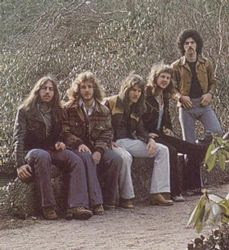 They struggled for a long time but interest in original music , espeially progressive was not very strong in our locality. 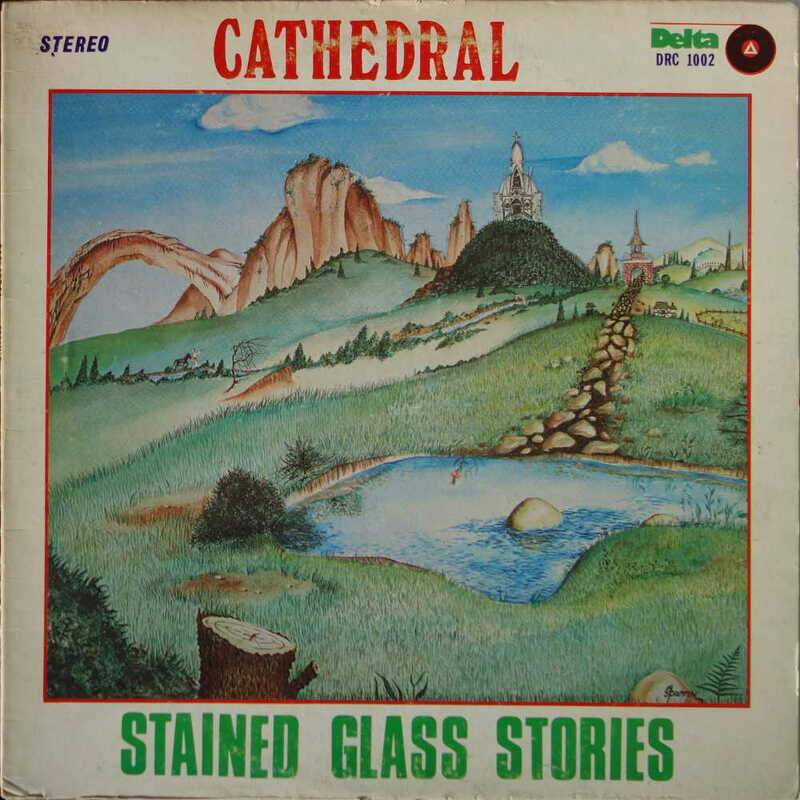 Stained Glass Stories was released in 1978. We originally set out to make a demo and our management had connections with Delta Records, an old New York City studio upstairs from the Palace theater in Times Square. Duke Ellington’s band was doing sessions across the hall. We were lucky to have a young engineer who was willing to experiment a little. We basically played live into a sixteen track Ampex and did very few overdubs. The whole thing took a week at the most. I wish I had that analog recording gear now!! The “chant” at the beginning of “The Crossing” was recorded in the immense staircase of the Palace building. We shopped the demo around and RCA made an offer but we put all our hopes in Atlantic records. They came very close to signing us on the Swansong division but then backed out because sales in new progressive music were small by 1978. Delat Records had distribution connections and it was decided to release the record independently. 10,000 were pressed and eventually sold. The proceeds (I am told) went into renting a rehearsal space and equipment for concerts to promote the album. What can you tell me about the artwork? My girlfriend of the time was an artist and she offered to do the cover. She had a photo of the Sacre Cour cathedral in Montmarte and painted it on top of the little hill. What happened after the album was released? After the record was released we spent a few months in our warehouse rehearsal space writing more music so that we would have enough for an entire show. We had our own lighting system and a large sound system and were able to practice the entire production. We rented out old movie houses, built our own stages and produced our own shows. It was a real marathon. If I worked that hard now it would kill me. What are some of your favorite memories from concerts? I remember spending all night wiring upour system and then going to play my keys and….nothing!!! I remember Rudy carrying equipment and slipping on ice and hitting his head. Walking out onto stage for our first concert for ‘Stained Glass” in my home town for a packed house of all our fans that had followed us through the clubs, for our parents and friends- that was a great feeling! We were so tired after setting up that I can remember so little of the actual shows. I remember having to rewrite parts on the spot because I couldn’t recall them!!! It was insane but a grand experience! All of the material we wrote after “Stained Glass” for our concerts has never been released. This includes ” Plight of the Swan” which may have been our best work of all. We also wrote several songs after the intial concerts prior to breaking up. I’m not very familiar with your work after Cathedral. I only know that, Rudy Perrone did a solo album in 1981 called “Oceans of Art”. Post Cathedral- Mac and Rudy were in a band “Industry” with Jon Carin (Roger Waters keyboardist). I played on Rudy’s solo album and started my own band Quiet. That featured Icelandic vocalist Gudrun Thrainsdottir. I went in a very experimental direction on through the 80’s and released very little material. In 1991 I made the first Fauve release which was done entirely in midi. ome instruments I designed and built were used by Jerry Marrota and Susan Vega. The bassist that introduced me to Rudy- Ed- joined Foreigner. Oceans of Art was Rudy’s solo work which he independently produced and released.It was recorded in Brian Unger’s “Paris” Studio. I played mellotron and some hammond on it. I don’t believe he ever released it on CD. In 2007 band was reformed. There were several attempts to bring back Cathedral in the decades between 1979 and 2000. I wasn’t ready to do it until I found a place to get new tapes for my mellotron! In 2003 Fred called all the original members up and offered to put the band back together.I had started writng progressive music again by this time so I was eager. “The Bridge” was difficult. In the 70’s all of us were headed in the same direction, all we had to do was write and it would come together. By 2003-7 there were many different directions we could take any idea. Also there were many “expectations”. Are you happy how it turned out? I don’t think anyone in the band is completely satisfied. Shortly after beginning the project Rudy left the band.There was open war in the control room over the mix of things and I think the mellotron in particular suffered as a result. I still stand behind the music however. I think it bears careful listening and it was a great learning experience for me. 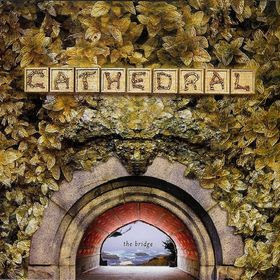 David Doig is a great guitarist and did his best to contribute to Cathedral’s sound but the chemistry of the band was seriously changed and some “magic” went out the window. I think that is one of the biggest differences . Did you do any touring after releasing The Bridge? We did one big show in N.Y. and the the ” Cathedral Curse” set in and everything got messed up. We were literally struck by lightening when we attempted to play at the “Power of Prog” festival!!! These days I have been completely busy with my own “FauveMuseum” compositions. I plan to perform in a duet with Rudy Perrone on acoustic and laptop steel guitars and recently toured with experimental group “Globular Cluster”. My pet project is collecting unusual keyboards including my Chamberlin, Jennings Univox and Vox continentals. I like keyboards that come with “charactor”!! Thanks Klemen, I am so happy my music is being heard in Slovenia! Very interesting interview! Thanks Klemen Breznikar.